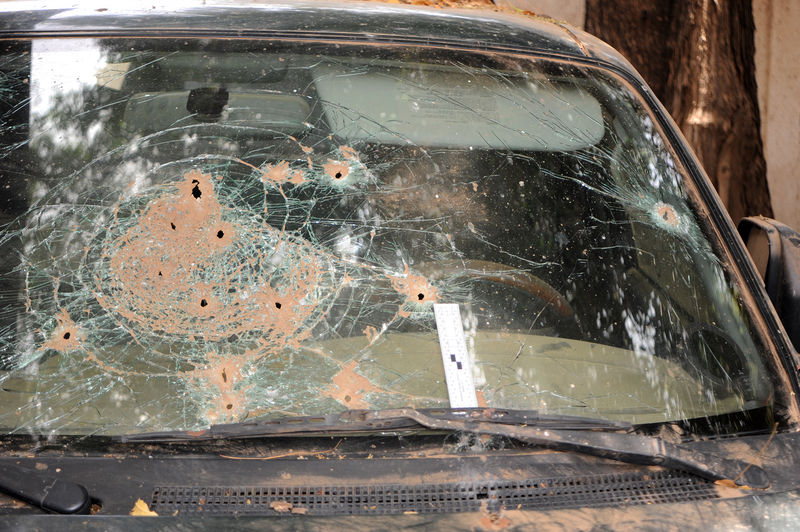 One of two cars used in a 2014 attack on the Gambian State House during a coup attempt in The Gambia. Several naturalized Americans from the West African nation helped plan and carry out the failed coup, violating U.S. federal law. When a group of naturalized Americans from The Gambia tried to help overthrow the government of their West African homeland in 2014, they thought they would be hailed as heroes. Not only did they fail, they were charged in the United States under the Neutrality Act—a little-known federal law that prohibits Americans from waging war against friendly nations. Two Americans were killed in the failed coup on December 30, 2014. The next day, distraught Gambian-American Papa Faal entered the U.S. Embassy in neighboring Senegal. Soldiers in The Gambia seized military gear and weapons provided for the participants in the attempted coup in 2014. The equipment was paid for by a naturalized American and shipped to the country; some of it was stored in safe houses. Embassy staff immediately notified the legal attaché—the FBI special agent assigned to the U.S. Embassy. The legal attaché interviewed Faal, quickly determined there was a possible violation of the Neutrality Act, and notified the Department of Justice and the FBI office in Faal’s hometown of Minneapolis; Van Nest was the squad supervisor over the investigation. Faal’s cooperation led to conspirators in other U.S. states, requiring involvement from FBI field offices in Atlanta, Baltimore, Charlotte, Louisville, Memphis, San Antonio, and Seattle. Agents also traveled to The Gambia, Senegal, and Germany. The FBI coordinated with other federal agencies, including the Department of State; the Bureau of Alcohol, Tobacco, Firearms and Explosives; and the U.S. Army Criminal Investigation Command. FBI agents interviewed subjects, searched their computers, and reviewed financial, travel, and phone records. The evidence helped agents piece together the conspiracy. Members of the Gambian diaspora who had formed the Gambia Freedom League hatched the plan in 2012 to overthrow then-President Yahya Jammeh. The group included Gambians living in America, Europe, and Africa. Cherno Njie, a naturalized American who lived in Texas, planned to serve as the interim leader in The Gambia. Njie also financed much of the operation and arranged for another conspirator to buy weapons for the coup. Njie kept meticulous financial records showing how much he paid for ammunition and weapons, as well as their serial numbers. The weapons were smuggled into The Gambia hidden by clothes inside 55-gallon barrels. The attack plan, developed by a co-conspirator with U.S. military experience, had coup members meet at safe houses in The Gambia. Two teams—one of six men and one of four—armed with the smuggled weapons and wearing military gear, attacked the Gambian State House. Gambian soldiers killed several of the attackers, including two Americans; others escaped or were captured. 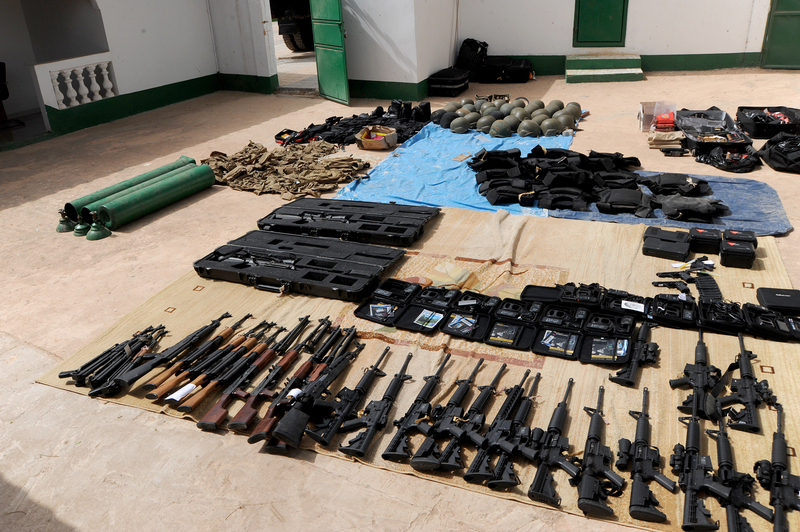 Security forces also collected numerous weapons and military equipment. As part of the investigation, FBI agents from Minneapolis received permission to travel to The Gambia to look at the evidence—and the bodies of the two Americans killed in the attack. The trip into The Gambia was tense because President Jammeh initially believed the U.S. military was behind the attack. Gambian military and intelligence officials escorted FBI agents during the visit. Five Americans were convicted for their roles in participating in the plot; two others were killed in the attempt. Papa Faal, 48, Brooklyn Center, Minnesota. Also convicted of a firearms violation. Sentenced to time served. Cherno Njie, 59, of Lakeway, Texas. Also convicted of a firearms violation. Sentenced to one year and one day. Alagie Barrow, 44, of Lavergne, Tennessee. Also convicted of a firearms violation. Sentenced to six months. Banke Manneh, 44, of Jonesboro, Georgia. Also convicted of a firearms violation. Sentenced to six months. Alhaji Boye, 46, (as of 3/27/17) of Raleigh, North Carolina. Sentenced to nine months. 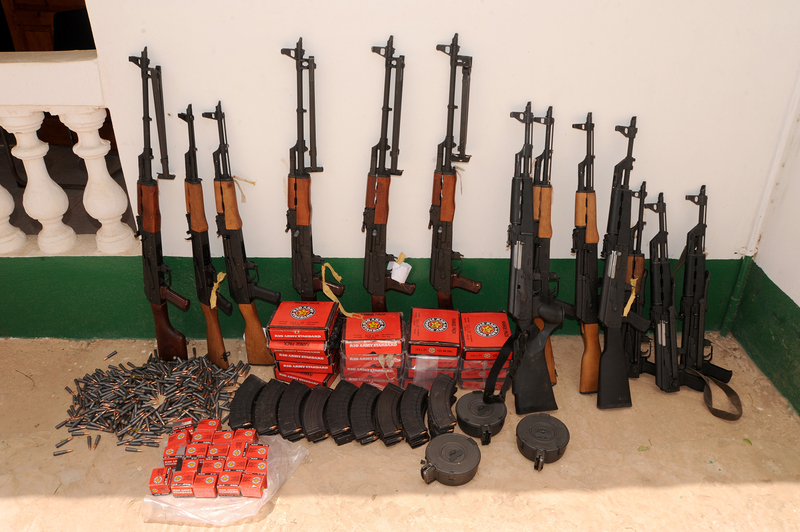 Soldiers in The Gambia seized these weapons and ammunition from vehicles and safe houses used during a coup attempt in 2014. American participants were prosecuted under the Neutrality Act, a little-known federal law. Agents identified more than 20 weapons purchased by Americans using money Njie provided. They also examined the cars used in the attack as well as the safe houses, and they took DNA samples from the two dead Americans. The FBI has investigated only a handful of violations of the Neutrality Act. Despite the investigative complications—with numerous conspirators acting in several states and overseas—agents knew just how to proceed. Five men ended up pleading guilty in the case: four were sentenced in 2016 on counts relating to the Neutrality Act, and a fifth was sentenced in March 2017 for buying weapons. None was sentenced to more than a year and a day in prison. Location: West Africa; straddles the Gambia River. Aside from coast, completely surrounded by Senegal. History: Colony of both Portugal and Great Britain; independent since 1965. Government: Presidential republic; Yahya Jammeh seized control in 1994 after a bloodless coup. Defeated in 2016 by President Adama Barrow. Admittedly, Andrew Luger was not entirely clear why he was part of a conference call on New Year’s Day, 2015: He was speaking with his national security prosecutor, FBI agents from across the nation and globe, and representatives from the Department of State. The Neutrality Act was enacted in 1794 and amended several times. The relevant provision—which prohibits American citizens from essentially waging war against a nation that is at peace with the United States—has been prosecuted fewer than five times. One of the first tasks was to verify that the attack was not a covert operation launched or approved by the U.S. government. The Department of State verified it was neither. It was up to Luger’s office to make sure the FBI could prove that those charged had actually violated the law. The prosecution was further complicated because the conspirators all lived in different cities, requiring the involvement of numerous FBI field offices. The Department of Justice decided the FBI’s Minneapolis Field Office would have the lead, with other offices assisting. Luger prosecuted. When prosecuting a case, the stronger the evidence the better. But Luger said he was shocked when the FBI showed him a printout recovered at the home of Cherno Njie, a conspirator who lived in Texas. Prosecutors had a strong case against the conspirators based on other physical evidence as well as phone, computer, and financial records. All five men charged eventually pleaded guilty. The longest sentence was one year and one day. Looking back on his career, the case remains one of Luger’s favorites. “It was so different and novel. It was international and national. And it happened on New Year’s,” he said.